Danson Dressage is a training and sales stable that takes prides in the fact that their stud stallions are also their main competition horses. Heather Currie, stud principal, believes that all good breeding stallions should be also good riding and competition stallions. 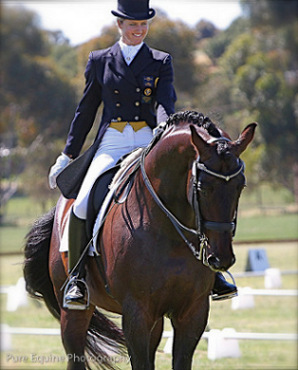 Danson Dressage sires need to prove themselves where it counts, out in the performance arena! This enables the stallion to truly show his trainability and the ability to perform under pressure.